Taken at Santa Cruz while accompanying a group of campers to one of their surfing lessons during their week-long residential camp that I have been helping out at. 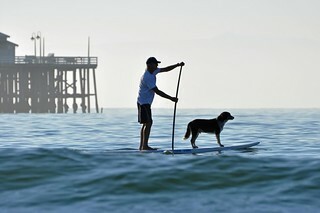 We spotted this guy and his dog enjoying the ocean on a beautiful July morning. 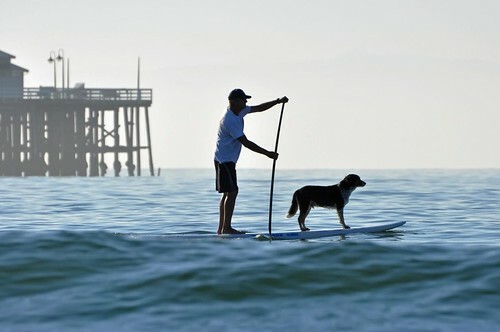 The end of Santa Cruz pier is in the distance.